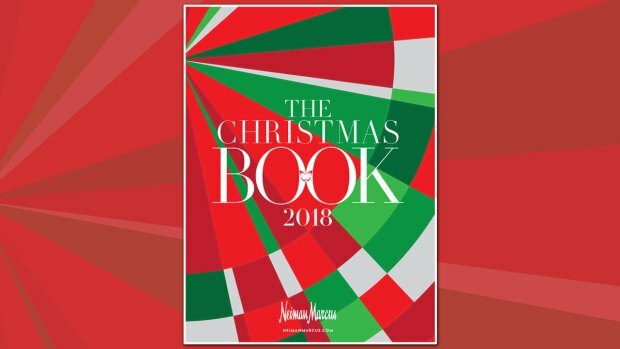 A sure sign of fall, luxury retailer Neiman Marcus unveiled its annual Christmas Book Thursday. "Who hasn’t dreamed of exploring the deep blue sea? The world will be your oyster aboard this one-of-a-kind cruiser. Measuring in at 74 feet, it’s the largest solar powered yacht in the world. Also featuring an interior inspired by Neiman Marcus Fashion Director Ken Downing, it’s the chicest, too. With three levels and four main cabins it comfortably sleeps up to 12 people, including a crew of four. As bells and whistles go, it boasts a fully functional kitchen, a state-of-the-art music and entertainment system, satellite TV, Wi-Fi, and ample closet space – important to note, because this gift includes a Neiman Marcus shopping spree. 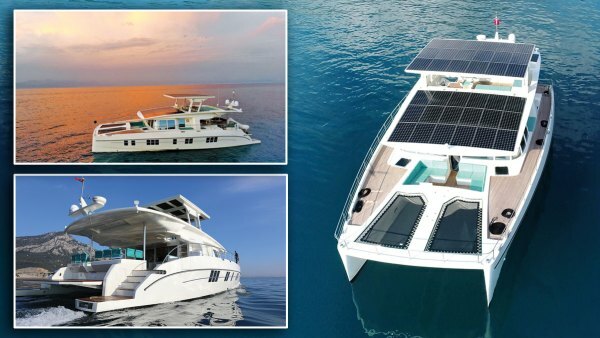 Created by Serenity Yachts, the leaders in pure electric and hybrid watercrafts, the vessel is fitted with more than 1,100 square feet of solar panels and tops out at 20 knots, with cruising speeds ranging from 6-8 knots (electric) and 10-12 knots (diesel). Should it rain on your parade, there are also two diesel engines, but we’re wishing you nothing but blue skies. Bon voyage! With the purchase of the Neiman Marcus Edition Serenity Solar Yacht, $50,000 will be donated to The Heart of Neiman Marcus Foundation. Gift limited to one yacht." "Want to give someone the world? We’ve got just the thing. Spend time exploring India, Nepal, Bhutan, and the Maldives with bespoke travel purveyor Black Tomato. Travel through secret spots in the Taj Mahal, observe tigers in their natural habitat on a private safari, watch the sunrise from Mount Everest Base Camp and so much more. The recipient plus three guests will travel by private jet, staying in luxurious style in award-winning five-star hotels, chic glamping safari tents and secluded luxury lodges constructed just for them. Appealing to wellness gurus and adventure seekers alike, activities include time with yoga masters, naturopathy experts, Hindu priests, and monks, along with breathtaking helicopter tours of the Himalayas and island cruises via yacht. From picturesque snowcapped mountains to the paradise-like Maldives, it’s a corner of the Earth as diverse geographically as it is culturally—and this once-in-a-lifetime experience provides a taste of it all while offering unparalleled access to sites seldom traveled. 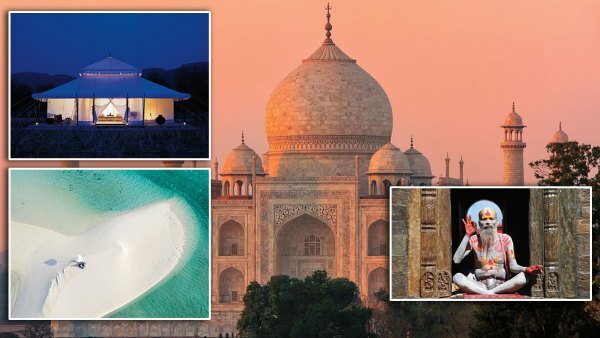 With the purchase of the Indian Subcontinent experience, up to $45,000 will be donated to The Heart of Neiman Marcus Foundation. Limited number of experiences available." "Shopping for a tennis aficionado? Give them the ultimate experience. 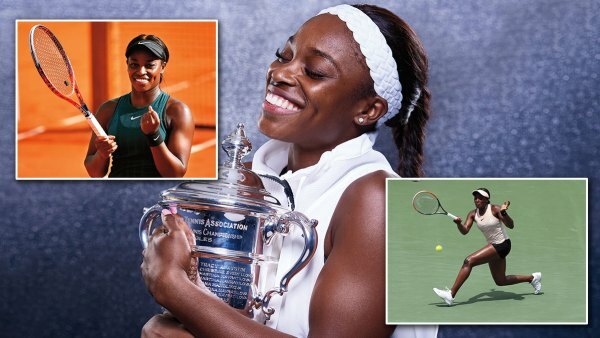 As a VIP guest of Sloane Stephens (2017 U.S. Open champion), the recipient and a guest will get unprecedented access to all four tennis majors. From Paris to London to New York and Melbourne, the purchaser will enjoy a week at each tournament, sitting in a VIP box with close friends and family of Sloane Stephens, staying in player-only hotels, and going behind-the-scenes of each prestigious event. The ace: At each course, they will have the opportunity to get in on the action by going head-tohead with Stephens in a private 45-minute hitting match. And because they’ll be quite friendly at this point, Stephens will close out the experience by gifting her guests with tennis gear and signed memorabilia. It may sound too good to be true, but we assure you this is no racket. With the purchase of the Tennis Majors experience, $30,000 will be donated to The Heart of Neiman Marcus Foundation. Gift limited to one experience." "Who wouldn’t want to feel like a kid in a candy store every single day? Introducing the sweetest gift of them all. The giftee and three lucky guests will travel first-class to the Italian Riviera for a once-in-a-lifetime experience that needs no candy coating at all. After checking into the beautiful Belmond Hotel Splendido, they’ll enjoy the sights and sounds of Cinque Terre before driving to a Sugarfina factory in Genoa, where they’ll spend the day with founders Rosie O’Neill and Josh Resnick. The guests of honor will enjoy a behind-the-scenes tour to see how the magic is made, followed by a working session with the creators to craft custom candy flavors. When the time comes to say ciao, know the fun is just getting started. Back home, candy – your bespoke flavors included – will arrive for up to three years, amounting to about one million pieces all together. And because all that candy has to go somewhere, a candy bar will be installed in the recipient’s home and stocked with his or her favorite Sugarfina candies. It’s truly a sweet deal. With the purchase of each Sugarfina Candy Bar, $10,000 will be donated to The Heart of Neiman Marcus Foundation. Gift limited to one experience." "Have you ever wondered what it’s like to go undercover? Here’s your chance to find out. 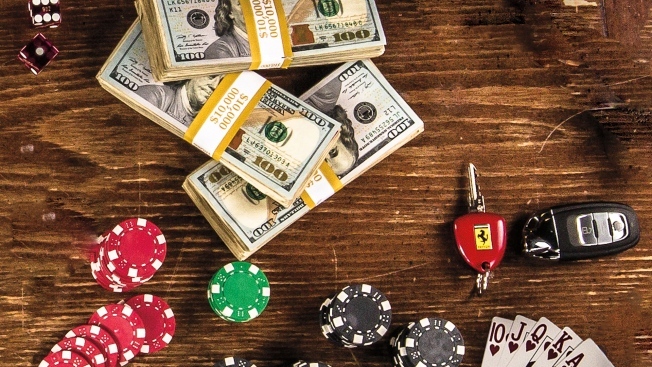 As the operatives, four adrenaline junkies will fly to Las Vegas via private jet for a three-day, two-night espionage adventure organized by The Invictus Experience. Upon landing, they’ll be greeted by a mysterious man in a tux, who will hand over an envelope containing their assigned mission profile – and the fun will begin with a team of elite and decorated Special Operations Forces Veterans. Free-fall parachutists, combatant divers, force reconnaissance marines, et al will accompany the group to fulfill all of their secret agent fantasies: jumping out of planes, racing supercars and whatever else is required to complete the mission at hand. When it comes time to refuel and retire for the night, it will be in exceptional style. Covert dinners and unforgettable accommodations at Waldorf Astoria Las Vegas are included. Only one question remains: Will you accept this mission? 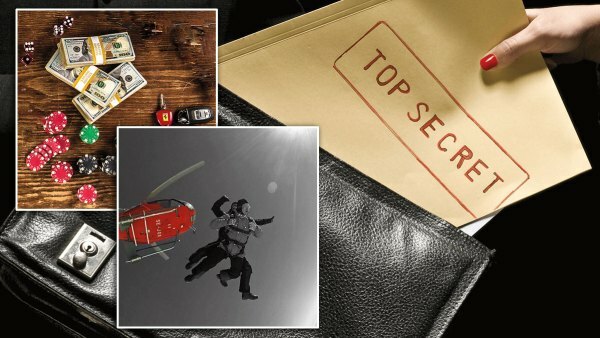 With the purchase of each Secret Agent experience, $25,000 will be donated to The Heart of Neiman Marcus Foundation, $5,000 will be donated to Mission Volant and $5,000 will be donated to Warfighter Made. Limited number of experiences available." "What could be better than a magical day with four-time Oscar winner Colleen Atwood? A custom piece by the designer, perhaps? Fortunately, the lucky recipient of this gift will get both. He or she and a guest will spend the day with Atwood, joining forces to create a one-of-a-kind outfit inspired by the designer’s latest project, Fantastic Beasts: The Crimes of Grindelwald, opening November 16 in theaters. The most fantastic day will include lunch and a collaborative design session with Atwood, a fitting to take comprehensive measurements and a photo opportunity to commemorate the experience. 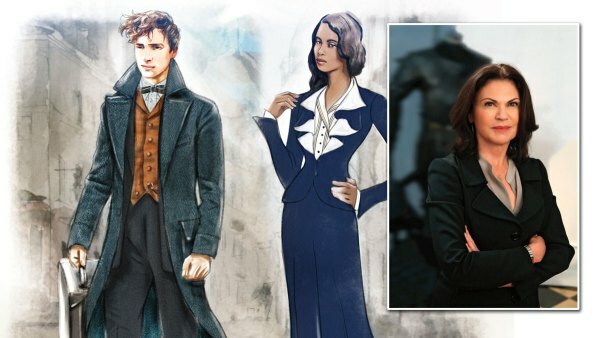 Adding to the fun, the giftee will receive a truly amazing swag bag including an autographed movie poster, a selection of Fantastic Beasts wands from The Noble Collection, and a collection of three HarperCollins Fantastic Beasts movie tie-in books that take you behind the scenes of the series. Pure magic. With the purchase of the Colleen Atwood experience, $10,000 will be donated to The Heart of Neiman Marcus Foundation and $10,000 will be donated to LUMOS, J.K. Rowling’s Foundation which promotes an end to the institutionalization of children worldwide; shipping charges and taxes may apply. Gift limited to one experience." "What if peace of mind – and peace and quiet – were only a few steps away? 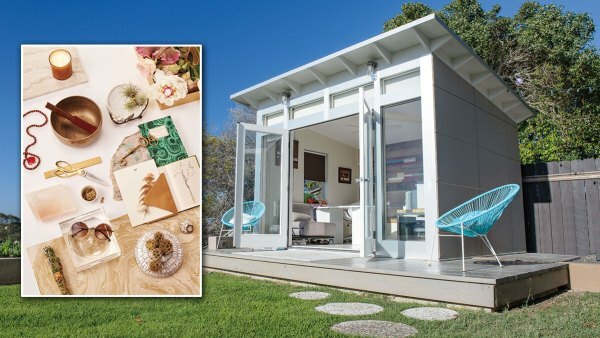 They can be now with the Virtue House, a 10’ x 12’ backyard retreat by Studio Shed for those in search of serenity. Less about indulgence and more about introspection – we believe in balance, after all – the Virtue House is a place to feed the soul. Relax with a glass of rosé on the surround deck or recharge with an hour of meditation. From the art to the finishes, Christina Simon of Mark Ashby Design, who once designed yoga studios, creates luxurious, tranquil spaces and doesn’t miss a single detail – including the installation expertise of Studio Shed’s logistical team. Brimming with natural light and rose quartz, this elegant escape features all the accouterments of the good life. With the purchase of each Vice or Virtue House, $10,000 will be donated to The Heart of Neiman Marcus Foundation. Limited number of gifts available." "Everyone has a vice. What’s yours? 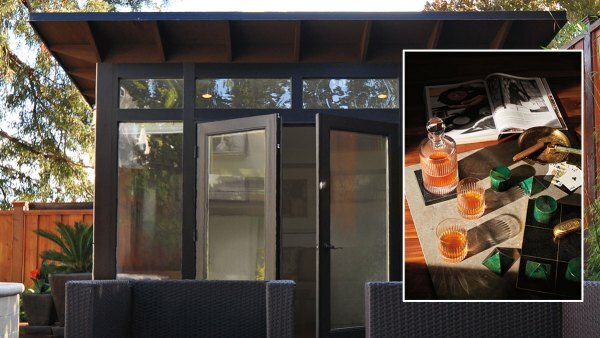 Whether it’s fine Cornelius & Anthony cigars with 50-year-old whiskey or marathon gaming sessions with friends, the Vice House is just the place to indulge freely. Built by Studio Shed and curated by Christina Simon, elegant furnishings, deep wood tones, and lighting that sets the mood create a refuge far removed from day-to-day responsibilities. All the “necessities” for a life of leisure are in reach; there’s even a surround deck—should one choose to venture into the great outdoors. Because the whole point of the Vice House is R&R, a logistical team is provided to ensure install is a breeze. So come on in, kick back, and stay awhile. You’ve earned it. "What creature would you have cast in bronze? A family pet or your favorite animal, perhaps? Whatever your choice, Danish sculptor, Bjørn Okholm Skaarup will bring it to life. 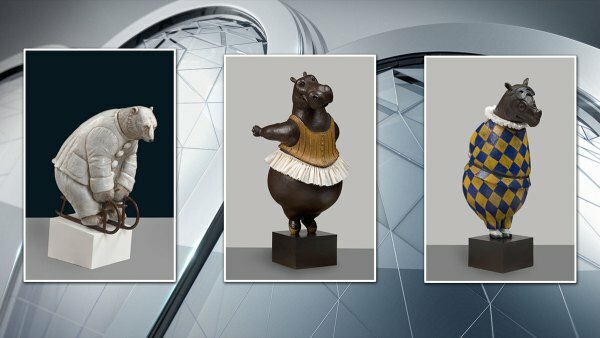 An internationally acclaimed artist, Okholm Skaarup is best known for fanciful animal sculptures; most notably, his more than 15-foot-tall bronze Hippo Ballerina on display in New York City’s Lincoln Center. His work has appeared in some of the world’s finest museums. And now, a custom creation can be the centerpiece of your home or property. You’ll fly to Florence, Italy, to spend time with the sculptor at his foundry, see some of his most famous pieces, and finalize the details of his unique sculpture for you. Envisioning your dog as a 14-foot tap dancer – or something more realistic such as a life-size tribute to your cat? Should you desire an entire carousel of dancing animals for your backyard, it can be done. Your wish is Bjørn’s command. With the purchase of this Bjørn Okholm Skaarup experience, $10,000 will be donated to The Heart of Neiman Marcus Foundation. Gift limited to one sculpture." The rest of The Christmas Book features gifts in a variety of price ranges.